Built in '73, sold '74... Imported by Beckmen Musical Instruments. 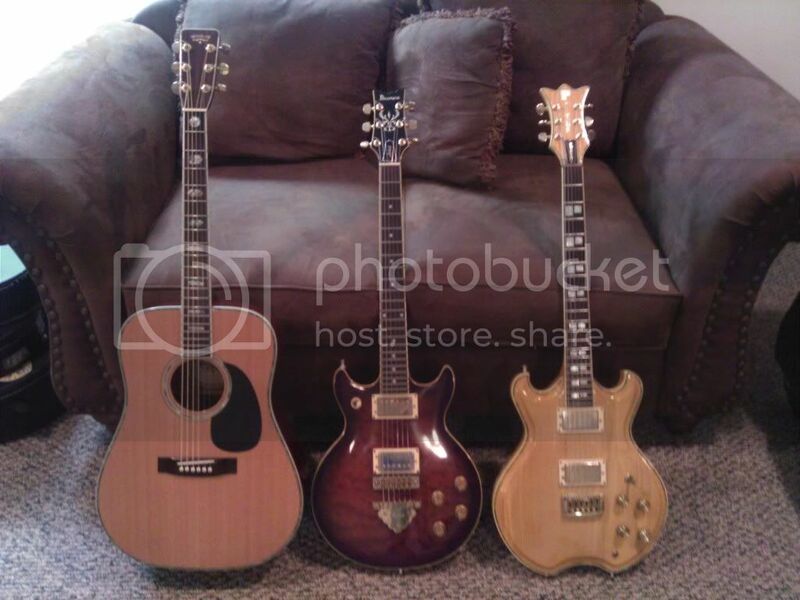 Only three I've ever heard of, mine, one I can't get the owner to sell to me, and another in Australia that's kind of beat up. ok Pike, between the Danas and this....if you HAD to pick one...which would it be? 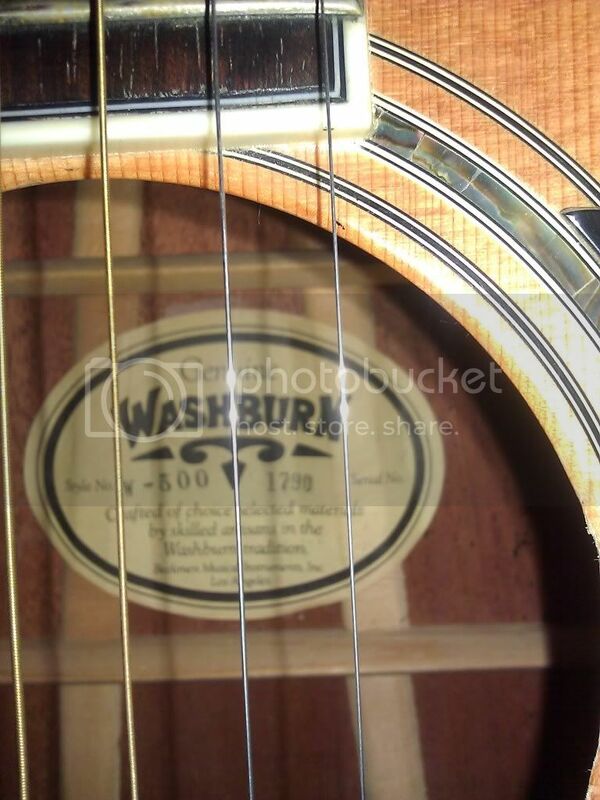 Nice volute on the neck, too. Looks like a real beaut', how does the craftsmanship appear to be on the inside? Pike, we exchanged comments back in '08 regarding the W600. 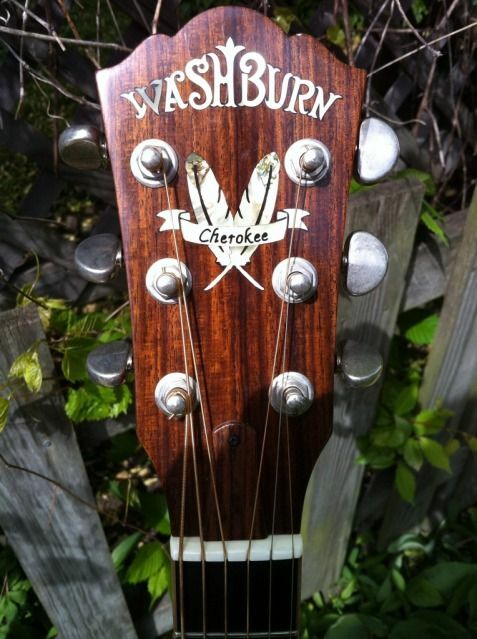 I bought mine in back in '76 if I remember correctly at a shop called the Guitar Post in Evanston, IL. It's a beauty and in mint shape. I would never sell it. Just had some work done on it with a Luthier I completely trust and it has never sounded better. Most folks have no idea about the W500 and W600. Wow that is one beautiful guitar. Thanks for all of you guys opening up another side of Washburn that I never knew about !! I have a w-500 that I am interested in selling. I'm trying to get debt free to go on a missionary trip. It has a lot of sentimental value, my grandfather left it to me when he passed away but it wouldn't be a good idea to travel in central america with it. It's stamped from portland music company in portland, or. He was originally from chicago, il. I have pics but don't know how to add them on here. I'm sure many would love to see the pics. You will need to host the pics on a hosting site. Many on the forum use www.photobucket.com. It's free and very easy. Also, think about the price range, and let us no. At A fair price, it will sell. Tom. P.S. Does yours look like the guitar above? Very nice. Thanks for posting the pics. 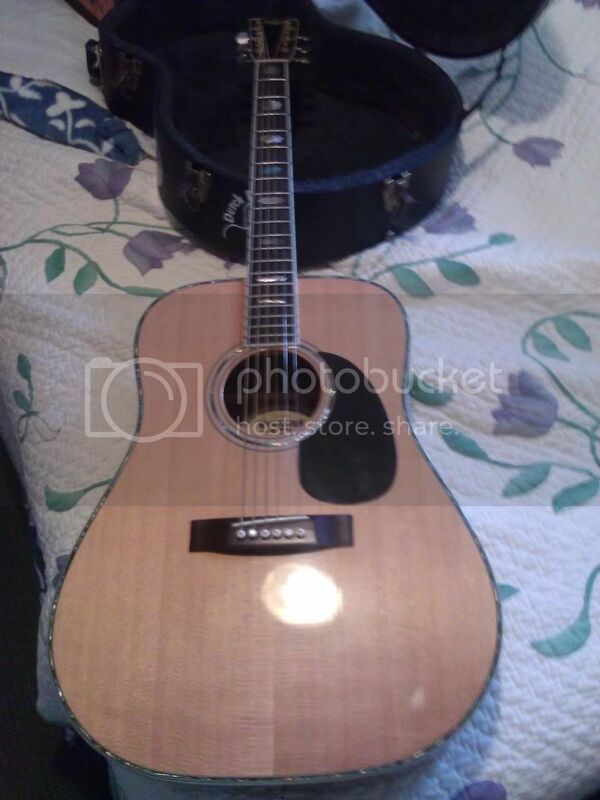 FWIW, your guitar is a W500 which is solid wood, but spruce and mahogany. The W600 is spruce and rosewood, plus it's Brazillian rosewood. 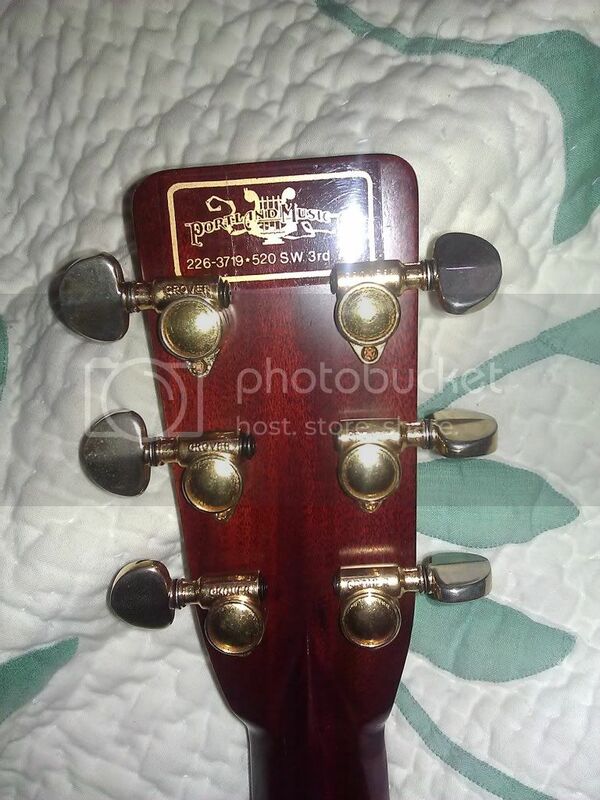 Both the 500 and 600 models are very, very nice but the W600 is a vastly more valuable guitar. casedog that is one sweet guitar and it might have been hand made at the Yamaki factory ( though it is hard to say for sure, but some folks think that when Beckmen bought back the name that they started making them in the Yamaki factory ).